When was the last time you saw an earthworm? Chances are, you don't see these wiggly creatures very often. Worms like to bury themselves in the dirt, where it's dark and wet. Do they like the dirt because it gives them food? Because it's wet, or dark? In this project, we'll be learning about the relationship between earthworms and light. Do earthworms like bright light, colored lights, or do they prefer darkness? Dig in your backyard to collect your earthworms. If you can't find any in your yard, you can wait for a rainstorm (since they come out of the ground when it rains) or ask an adult to buy the worms from a bait and tackle shop. Fill the bottom half of the shoebox with soil. If you don't have a shoebox, any type of box will do. Rectangular boxes, such as shoeboxes or gift boxes from a department store, work well. Pour water in an empty spray bottle. 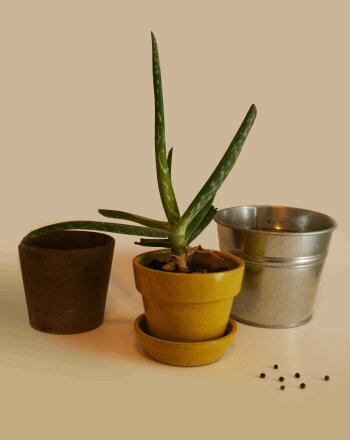 Spray the water to wet the soil a bit, so it's Moist(lightly wet) instead of muddy. Earthworms love moisture, so it's a good idea to make the environment comfortable for them before beginning your experiment. Consider what you know about earthworms. Where do they spend most of their time? Is it a dark place, or well-lit place? Write any notes in your notebook. Using your notes from step 5, make a guess about whether you think the earthworms will like light or darkness the best, and why. Write this guess, called a Hypothesis, in your notebook. Do you think the earthworms will like bright light or red light better? Write down this guess in your notebook as well. Take a small lamp and remove the shade. Shine the lamp over the right half of the shoebox by positioning it directly over the box. Make sure the other half of the box remains dark so that you can watch which side the earthworms crawl to. This can be accomplished by laying an old black t-shirt over the left half of the box. Place your earthworms in the centre of the shoebox. Observe, or carefully watch, the earthworms' behaviour for a few minutes. Did the worms travel to the darker side of the box, or the brighter side of the box? Write or draw what you see in your notebook. Remove the earthworms from the box. Replace the 60 watt bulb from the lamp with a red light bulb. Release the earthworms once again in the centre of the shoebox. Again, watch how the earthworms move for a few minutes. Did you see any differences in the way the earthworms reacted? Do they move toward the red light, or toward the darkness? Write or draw what you see in your notebook. The earthworms will move away from the bright light and remain in the dark half of the clothing box throughout the experiment. 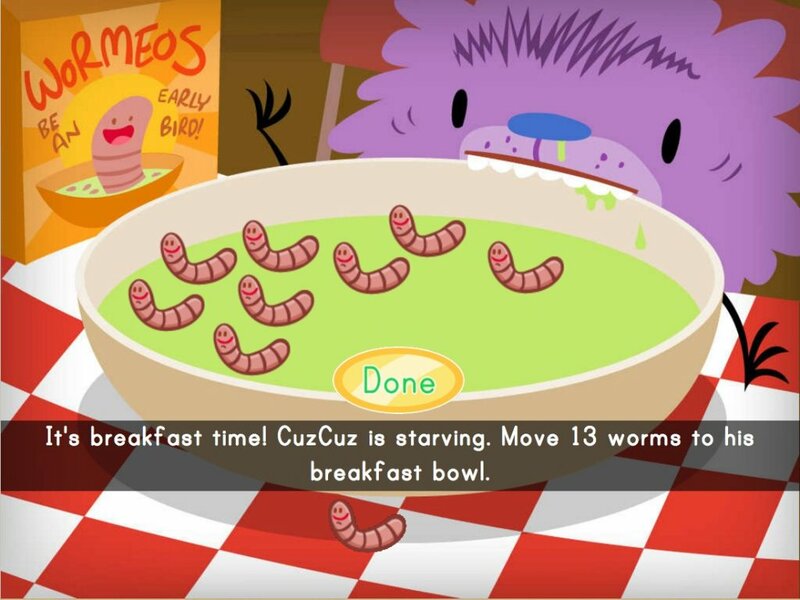 However, when you switch to the red light, you may notice some of the worms in each half of the box. The earthworms don't seem to be affected by the red light the same way they were by the 60 watt light bulb. Earthworms don't have eyes like we do. Instead, they can sense light through their skin. These natural light sensors let the earthworms know when they are getting too close to a bright light, such as the sun. 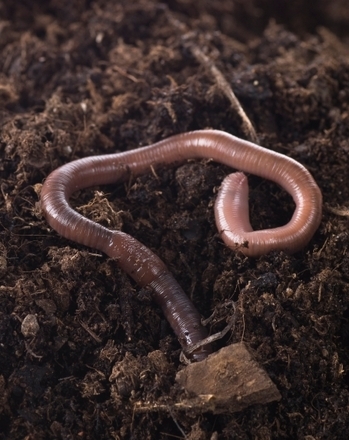 Earthworms try to stay out of sunlight because the heat from the sun dries out their skin. If an earthworm's skin becomes too dry, it wouldn't be able to breath, and it would die. The red light's more like a cloudy day to the earthworms. It isn't as bright as the white light, and therefore doesn't scare the earthworm like the regular bulb. Continue this earthworms and light experiment by using different colored light bulbs. Do the earthworms like one colour better than another? You can try yellow, blue, green, and even fluorescent light bulbs. Also, try testing a regular light bulb that isn't so bright. 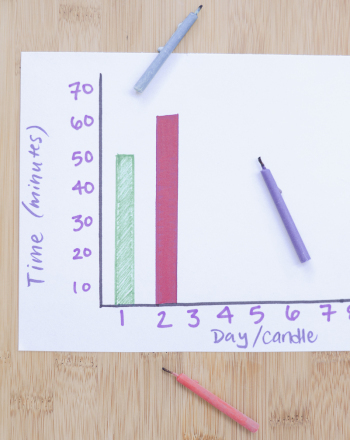 For example, you could use a string of holiday lights instead of the 60 watt light bulb. Does the Intensity, or strength, of the light make a difference to the worm? Guessing what will happen and testing your hypothesis is a big part of being a scientist. What do like to groove to? Bebop or hip-hop? 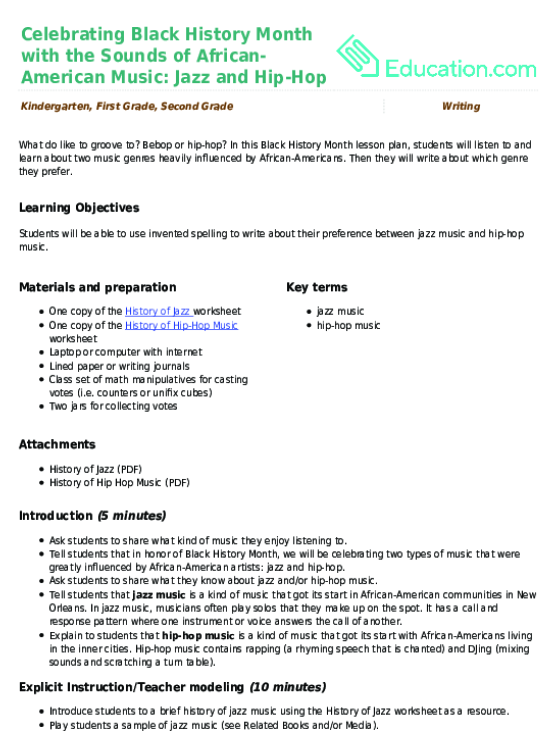 In this Black History Month lesson plan, students will listen to and learn about two music genres heavily influenced by African-Americans. How do you think they eat? Check out this science worksheet to learn all about it.